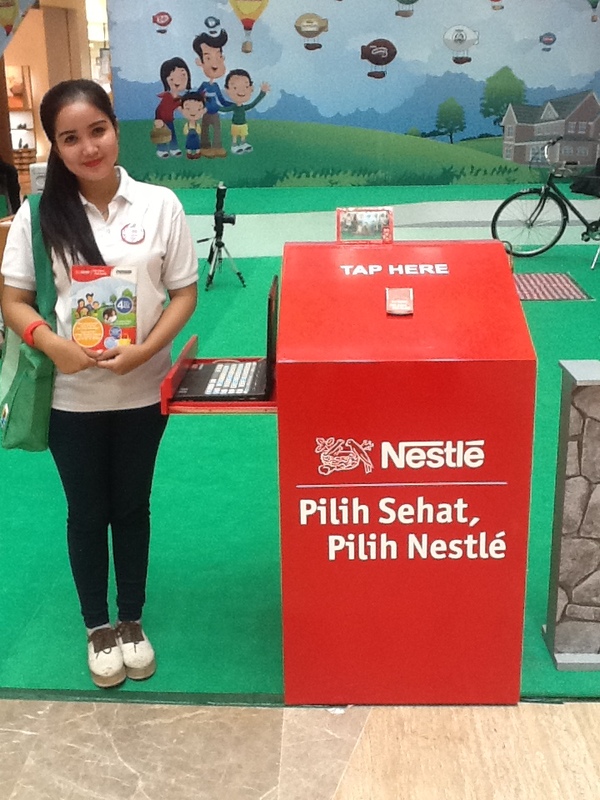 Nestle NHW (Nutrition, Health and Wellness) was a brand activation campaign held by Nestle from April 10th to 20th, 2014. 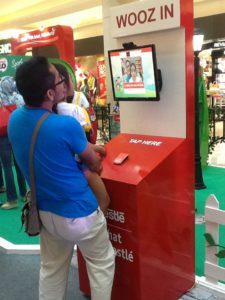 The event targeted parents, especially mothers and their children. The event itself, like its name, was aimed to provide information and knowledge about family nutrition, health and wellness. 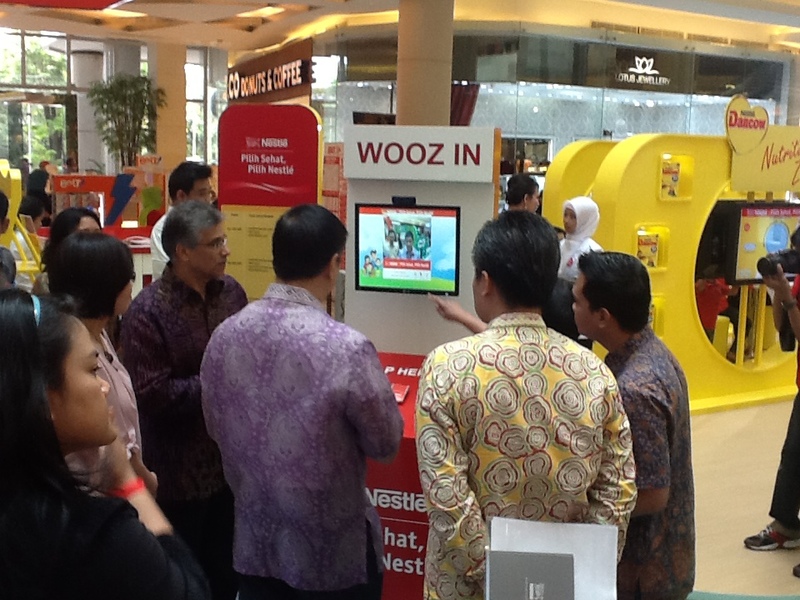 Aside from receiving product information, visitors could also engage in fun activities at several booths. 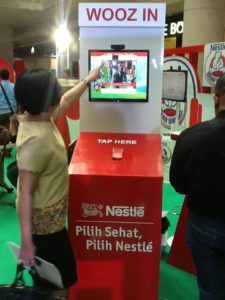 To join these activities, visitors had to first buy one of the provided product packages, and register using their social media accounts, after which they would receive an RFID wristband. 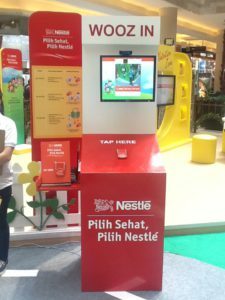 By showing a receipt for purchase of Nestle products, participants are entitled to register using their social media accounts, and receive points according to the value of their purchase. There are three levels – 100,000, 200,000 and 300,000 points. 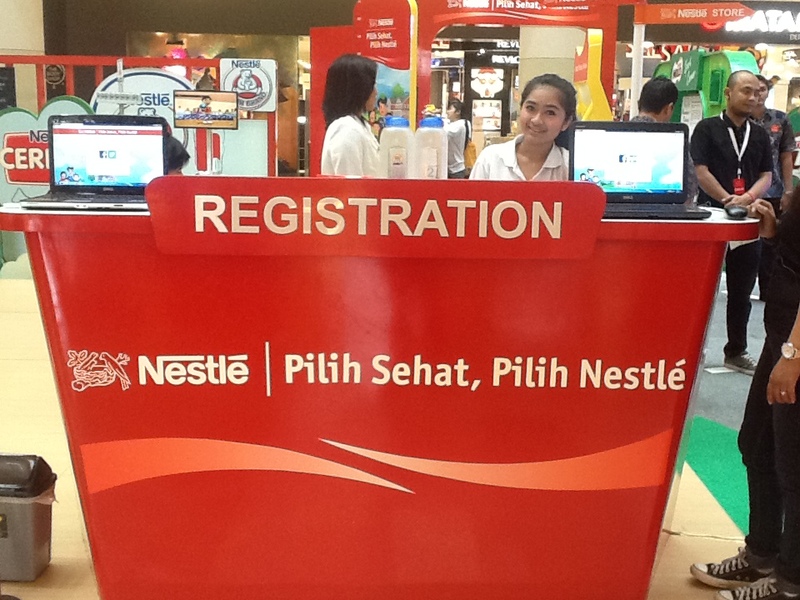 These points became a precondition on whether the participant was able to experience the Nestle booths or not. 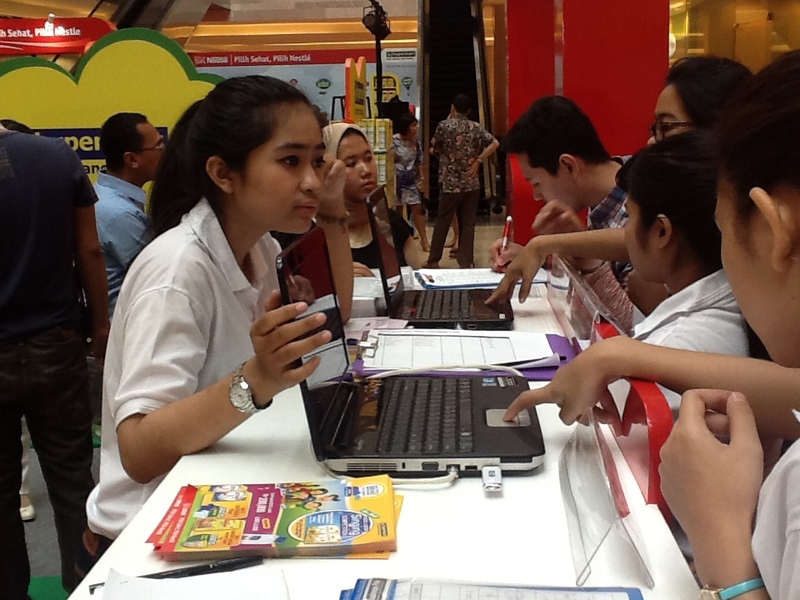 To enable this, participants were given RFID wristbands. A gatekeeper, basically consisting of a computer and an RFID reader, is provided at each activity booth entrance. 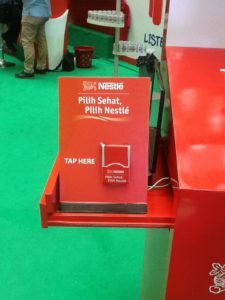 A participant, before entering the booth, has to tap their RFID wristband to the reader, so see if she or he qualifies for entrance. Every successful tap-in will publish an automatic status update to the participant’s social media. 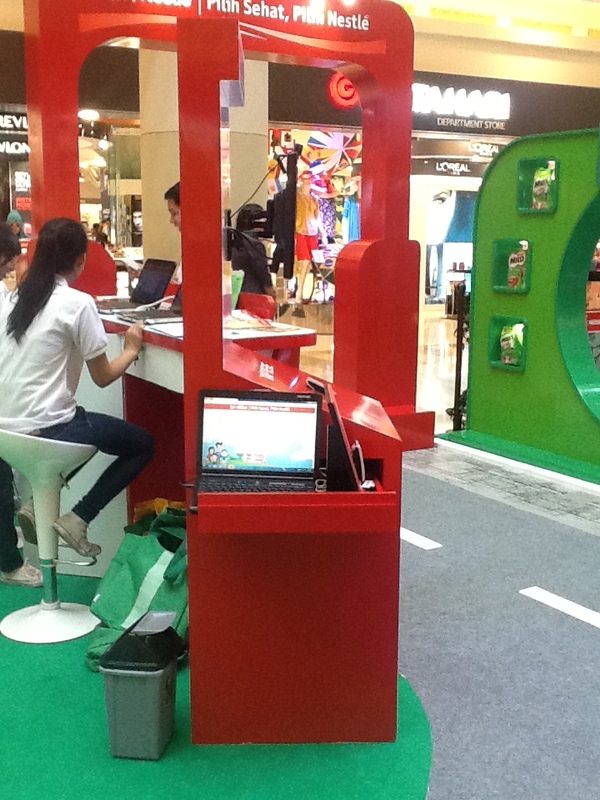 Participants that have topped up points can enter the activity booths according to their current point accumulation. Participants can take a selfie at the photobooth by first tapping their RFID on the RFID reader. The photo will automatically be uploaded to the participant’s social media account. Participants can visit the redemption desk and tap their RFID wristbands to the readers to find out whether they won prize A, B or C.
For this campaign, Wooz.in helped the client collect a customer database with insights, achieve a social media amplification reach, and measure activities like most active booths, total redemption, and best selling packages. 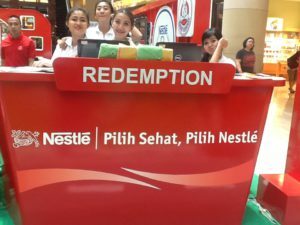 The total redemption number was especially useful for tracking merchandise inventory. 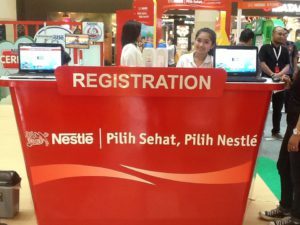 Nestle obtained a significant participant database from this event consisting of names, emails, genders, ages and phone numbers.